Snappy Driver Installer is dead-ish - long live Origin! It seems that that old Snappy Driver Installer has forked to a new 'Origin' version (SDIO). For the new Origin version is here but cannot simply replace the old version because the executables have different names (AUTO.cmd requires changes). E2B v1.93e will include the new forked version but if you want the sdi-tool.org version, then remove all the SDIO files from the SNAPPY folder (except for the AUTO.cmd file) and replace them with the download from sdi-tool.org. The new version of AUTO.cmd will call the SDIO version by default, but if the SDI executable is present, it will use that instead (if you have replaced SDIO with SDI from the sdi-tool site). 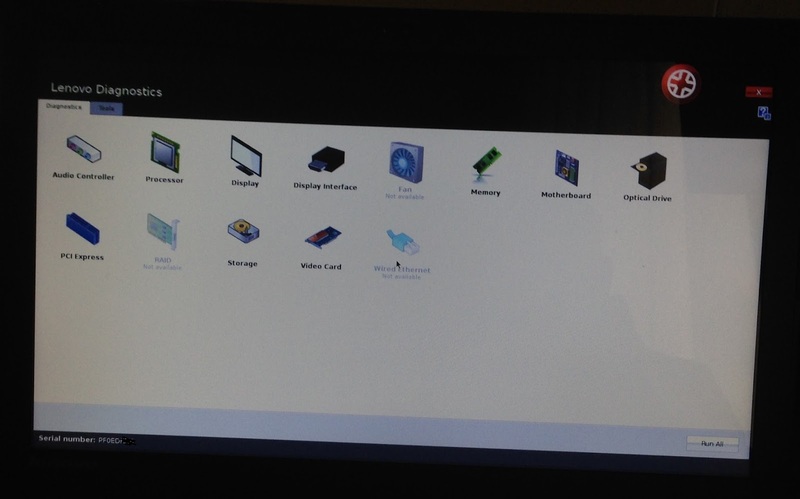 Do you have a StarTech S2510BU3ISO Virtual DVD emulator enclosure? A few months ago I contacted StarTech support about the bug in their S2510BU3ISO product. Many users on Amazon and elsewhere have reported difficulties with the product. You can read my review in a previous blog post here. If you freshly format the drive and then add a single ISO file to the \_ISO1 folder, then it should work correctly. But, I gave them a simple Windows cmd test script (StarTechFormatTest.cmd in Easy2Boot Alternate Download Areas - Other Files) which will format the hard disk in the USB enclosure and then copy 1GB files to it. You just need to download the debian-live-8.1.0-amd64-mate-desktop.iso file from t'internet and rename it to 1GB.ISO first. You will need a 60GB+ disk fitted (SSD recommended for speed). v1.93d has an improved GIFtoIMA script. GIFtoIMA.cmd now only uses frames up to frame #255 (maximum for grub4dos) and can also now save as JPG instead of as BMP to save space. Note that using a transparent background setting for JPGs does not work well because some of the background pixels may be a slightly different RGB value, so if you want to use a transparent background for your animation, choose the BMP option (default). \_ISO\docs\E2B Utilities\GIFtoIMA\GIFtoIMA.cmd is a script which will convert an animated GIF to a floppy disk .IMA file ready for use with E2B. It even generates the required grub4dos code that you can paste into your \_ISO\MyE2B.cfg folder. P.S. E2B v1.92d version will also delete any frame_00256.bmp and over files because maximum is 255 for grub4dos\E2B anyway. The E2B v1.93b BETA download is now available from the Alternate Download areas. You can use it to update your E2B Flash drive. v1.93b has an improved version of the ChocBox.cmd script which makes choco offline packages. We can now add almost any Chocolatey application to an SDI_CHOCO configuration as an offline install. This means we no longer need an internet connection to use SDI_CHOCO and can now install drivers, Windows updates and applications offline using any unmodified Microsoft Windows ISO install file (Win7+). P.S. There is now a Chat facility on www.easy2boot.com, if you have a quick question for me. WARNING: Do NOT use the Update E2B button as this DEMO version will overwrite your current SDI_CHOCO configuration files! If you want to make an E2B DEMO USB stick without having to configure anything or add apps, you can download E2B_v1.93a_OFFLINE_SDI_CHOCO_DEMO.exe from the Alternate Download Area (280MB), add your Microsoft Win10 ISO and then pick any SDI_CHOCO XML file to wipe your hard disk and install Windows 10 + a few drivers + a few apps automatically. This version has some Snappy Drivers and app packages (Foxit, ProduKey, notepad++ and WinMerge) which is why it is so big. I will remove it in a few days. To add more Snappy drivers, run the Snappy executable. To add more apps, read the E2B web page here. Note: This version has an older (buggy) version of ChocBox.cmd - you can quickly update it using the Update button in v1.93b or later. I have now added a set of files which will install Chocolatey onto a system to the Alternate Downloads Area. The install package for Chocolatey itself is now in the E2B v1.93 downloads. It includes the current Chocolatey.nupkg file and a script to install Chocolatey onto a Windows system. This means you can install Chocolatey and Chocolatey packages completely offline and so the whole SDI_Choco process can be done offline. Since many app packages are in Chocolatey, you are to pick from 1000's of ready-made install packages. P.S. E2B v1.93 has the required utilities and SDI_CHOCO support for choco offline installs. I have this working and I can now do a completely automated offline install with drivers, WSUS updates and any offline choco apps apps I want with no Ethernet cable attached. P.P.S. E2B v1.93a BETA and DEMO now contain these scripts, so I have removed the separate downloads from the Alternate Download areas. Download the latest v1.93 instead! If you use the SDI_CHOCO feature of Easy2Boot to install drivers, Windows updates and applications completely unattended, you will know that applications are installed using Chocolatey. The SDI Snappy Driver Installer and the WSUSOffline updater are both offline utilities, however Chocolatey is an online utility. Every time it runs, it will download the latest version of an application from the internet and automatically install it onto the target system. This takes time depending on your internet download speeds and also means we may get a different version of the software now than we got last week. I have utilised the ChocolateStore github software by BahKoo on github so that we can now add offline chocolatey packages to the SDI_Choco process. By installing the apps offline using Chocolatey, we get faster installation and we will always get the same app versions (unless we manually update them). We can still remove the USB drive after Setup reboots. Note that we still have to get Chocolatey itself installed on the target system. Although the apps do not require an internet connection, the installation of Chocolatey using the standard SDI_CHOC scripts does require an internet connection. However, I have made an offline package to install Chocolatey (see end of this bog post). This means that you can now choose from 100's of ready-made Chocolatey apps and install Chocolatey itself completely offline. P.S. E2B v1.93 will have the required utilities and SDI_CHOCO support for choco offline installs. I have this working and I can now do a completely automated offline install with drivers, WSUS updates and any offline choco apps apps I want with no Ethernet cable attached. Webconverger is a professional Kiosk Browser which you can run from a LiveCD ISO or as an installed OS on a hard disk or USB drive (it is based on Debian and FireFox). It can also be configured as a 'signage' panel. 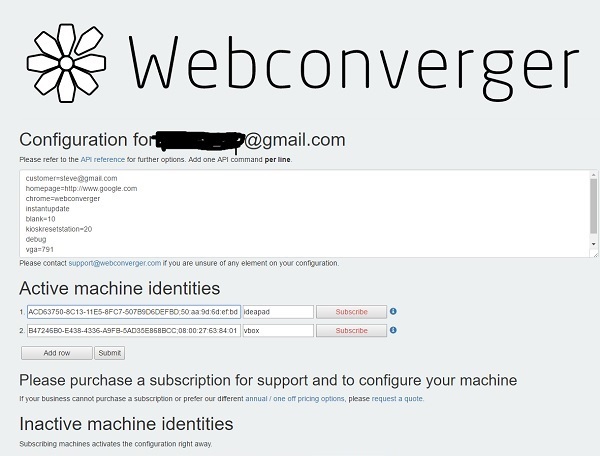 Kai Hendy of Webconverger offers a 30-day free trial which is needed if you want to make use of the 'control-panel' configuration features (though it seemed to mostly work without subscription for me). all registered to the same email account. Once a machine is 'subscribed', all remote control-panel seemed to work well and as expected, although for some changes, a reboot was required. If your E2B USB drive is a Removable drive (e.g. most USB Flash drives) then you can just directly boot from it as an .iso file from E2B (or use .isodefault to suppress the suggestion messages). You can enter the email address that you can also use for your subscription. However, if your E2B USB drive is of the Fixed-disk type (e.g. USB HDD) then it will not boot directly from the ISO because the pre-defined linux boot parameters include the cheat code bootfrom=removable so that it will only boot from removable media. The linux bootable Lenovo Diagnostics ISOs can simply be copied to any E2B menu folder (e.g. \_ISO\UTILITIES). The diagnostics will only run on Lenovo-branded systems. The linux-bootable-cd-41308857.iso is also UEFI 64-bit bootable. Install the E2B MPI Tool Kit and then drag-and-drop the ISO onto the Windows MPI_FAT32 shortcut (I suggest you rename the ISO first because the CSM menu title has the same name as the ISO file). Lenovo also supply UEFI-bootable versions of their diagnostics. Hit by WannaCry? There is a decryptor now for XP and Win7. If you or one of your users have a Windows XP or Windows 7 system and have been hit by the WannaCry ransomware virus, do not despair! do NOT turn off the system - do NOT reboot it - do not use it - just leave it alone! The next thing to do is (as quickly as possible) download the decrypting software wanakiwi.exe onto a USB stick (don't use the infected system! ), plug it in to the affected system and run it. If possible, it would be better to make sure every computer had a copy of wanakiwi.exe already on their hard disk because connecting a USB drive may destroy the keys which are left in memory. More info and an animated GIF of it in action on Windows XP and Windows7 here. Can't boot to Windows but need some important files? You are given a Windows computer which will not boot to Windows any more. You have tried to boot to Recovery Media/ISO and repair it, but it did not work. The NTFS filesystem and memory seem to be OK (you ran memory test and chkdsk). The issue seems to be that the Windows OS is broken. The internal hard disk is pretty full, so you cannot install a second copy of Windows as there is not enough free file space. The customer wants only a small number of certain important files recovered from the hard disk, but he doesn't know exactly where they were stored. The customer does remember a bit of the file name as does know that he used MS Word to edit the documents. Your Mission (should you decide to accept it), is to backup those important files to an offline USB drive before you start messing around with the customers OS or the files on his hard disk. At this point, you could decide to take an image of the internal hard disk using any decent backup package. This is a very sensible thing to do, but it will take a while. After a LOT of problems, I have managed to work out how to install the later versions of proxmox from E2B direct from the ISO file. You will need to make a .mnu file. See the bottom of this old post for details. v.1.92 is now officially released. Windows 10 1703 (Build 15063) or later will mount all formatted partitions of a USB Removable media Flash drive. This means we can not only boot from a flat-file installation of Windows 10 now, but because we can create a multi-partition USB flash drive, we can also encrypt the Windows volume using BitLocker. Windows 10 will allow us to MBR-boot (not UEFI-boot) to an encrypted volume either by entering a short password (e.g. 8 characters or more) or by inserting a USB flash drive containing a .BEK key file for the encrypted volume. I am hoping to release this as v1.92 Full Release version in a few days! Includes latest grub4dos 0.4.6a (hopefully with all bugs fixed!). MPI v0.074 has improved detection of the isolinux version. The HP Vision Diagnostics ISO can be added to an E2B Removable USB drive if you use the .ISOPE01 file extension. It will boot straight to WinPE and you should briefly see the blue console shell window which will load the ISO as a virtual drive and allow it to find the drivers and diagnostic programs inside the ISO. If you have a E2B HDD, you will need to convert the ISO to a FAT32 .imgPTN file (or if you boot it as .isoPE01, you could use the SHIFT+F10 key and run \_ISO\e2b\firadisk\LoadISONP.cmd from the E2B USB drive to load the ISO file as a virtual DVD to allow the diagnostic files to be seen). The HP PC Hardware Diagnostics 3-in-1 USB Key software however, does not come as an ISO file. Here is how to add it (or the Vision Diagnostics ISO) to E2B. 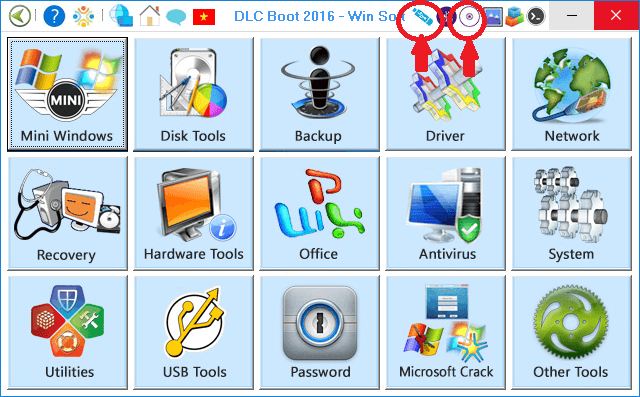 'DLC Boot 2016 v3.2' .rar file (Build 160727) can be downloaded from the official dlcboot.com site. As it contains copies of Windows and other licensed utilities, you should ensure you have the appropriate licences (or morals) before you use it however! After unpacking the .rar file, you can run DLCBoot.exe from Windows as Administrator to either create a new bootable USB flash drive (use FAT32 for UEFI x64 booting) or a bootable ISO file or run any of the tools directly. I had problems formatting a new USB drive using Make_E2B.exe today and discovered Windows 10 Creator is still causing RMPartUSB problems due to it recognising all partitions on a removable USB drive. There is now a new version of RMPrepUSB and RMPartUSB (v2.1.739A) and the E2B download has also been updated. If you still get any problems making an NTFS E2B drive, please let me know! The next version of E2B will contain the ASCII_E2B.txt file (but you have to add the line into your MyE2B.cfg file to see it). If you are displaying lines longer than 79 characters, you will need to switch to 800x600 first to change from the initial boot screen resolution of 640x480 (80x30 characters). If you want some of the payloads mentioned below (see list), but don't have room on your E2B drive for all of them and you will always boot on a system which has internet access, you can add the small kernel 339KB netboot.xyz.lkrn PXE boot file to your E2B drive and get all of them! This version has a new version of grub4dos (\grldr) which has a nice new vol command, so I have also tweaked the UTILITIES menu commands for 'ls (DIR)' and 'List BIOS Disks' to improve the text output and show the volume labels. I have also tried to improve some of the .cmd scripts which require Admin access so that they will now use Powershell to request Admin access (if Powershell is available). I have tested it on XP, Win7 and Win10 so I hope that I have not broken anything! The main advantage is that the MAKE_THIS_DRIVE_CONTIGUOUS.cmd script now only gives you one UAC prompt instead of two. The extra code is added so that under WinPE and WinXP, it does not just abort with a 'bad command' error if 'powershell' is not understood. It checks to see if PowerShell is present and if so, it runs itself again using runas, so the beginning of the script actually runs twice. 1.92 will be fully Win10 Creator update compatible (I hope), so I am keen to release it soon. Please download and test it and let me know if you find any problems before I release it officially in a few days as version 1.92. This version has a few small tweaks to Utilman scripts and a new default wallpaper. P.S. A variety of 800x600 jpg wallpapers are available in the Alternate Downloads Area - Themes folder at WallPapers800x600.jpg.zip. if you copy these to the \_ISO folder and use the Change Wallpaper_JPG.mnu file, you can try them out. Alacran (on reboot.pro) has notified us of a few .cmd scripts available from 'sickdroid' (or Felix Wiegand) which can remove many non-essential Windows components such as Cortana, etc. during a fresh installation of Windows 1703. The Commodore PET was first announced, and later released, in 1977 (40 years ago). It was a complete All-In-One computer with built-in keyboard, monitor and storage media and was months ahead of the Apple II or TRS80 (Trash80!). In essence, it was an early Macintosh and was one of the first computers suitable for business use, rather than hobbyists. On a side note, the PET never really took off in France for some reason (apparently 'pet' is slang for another word!). Later, Commodore released the VIC, which did not sell too well in Germany either, as it sounded like you were asking for a 'fick' which is German for something quite different! At the time, my family ran a small 12th-Century hotel in Oxford, now made famous by my late friend Colin Dexter's Inspector Morse book 'The Secret of Annexe 3' (which was where he reviewed examination papers with his colleagues, ate, drank and sometimes stayed overnight). Colin even gave me a few first edition signed copies of various Inspector Morse books over the years, which I guess must be worth a few pennies now! Now, payroll software for the PET was non-existent at that time, but in early 1978 I persuaded my father to buy me a new PET, on the promise that I would write a complete staff wages program for the hotel. I explained that this would save him hours of pouring over his H.M. Gov tax tables and Kalamazoo wages sheets every week! E2B v1.92f has a slightly different and easier implementation of the UtilMan hack now. Steps 3 and 4 have been reversed and there is much less typing for the hacker! 1. Boot to E2B Win 10 ISO and choose Hack Windows (UtilMan.exe).xml to patch the .exe files. 2. At Windows login screen press WIN+U and type 2 [ENTER] to make the ADMIN account. Now play around as you like! 3. At Windows login screen, press WIN+U and type 3 [ENTER] to delete the ADMIN account. 4. Boot to E2B Win 10 ISO and choose UnHack Windows (restore UtilMan.exe).xml to unpatch the .exe files. I have updated the previous blog post to describe the steps in more detail. P.S. It seems MS have broken SFC now so it is unable to repair utilman.exe and sethc.exe! For the last 4 weeks or so, SFC has not been able to repair some files and complains about corrupt source files, i.e. it does not recognise the files in its own WinSXS folders - probably because they were not updated by the recent Windows updates - but hey, it only affects millions of people all over the world and Microsoft cannot possibly afford to validate it's own software or respond to bug reports!